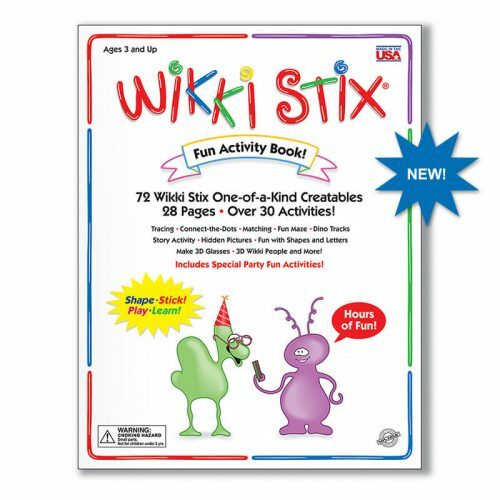 What are Wikki Stix? How do they work? 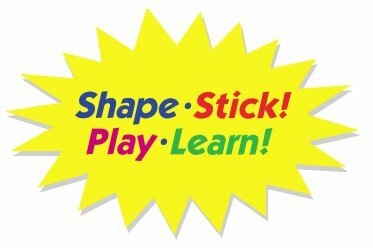 Simply stated…they stick! No glue, no paste, no mess. Just press them down with light fingertip pressure on virtually any smooth surface and they will stick. They are also easy to peel up and reposition so “mistakes” virtually disappear. Plus, they stick to each other for 3-D creativity and fun. Twist, bend, stick, create. That’s it! No preparation… no clean-up… no mess. That’s what makes them perfect for creating pictures and flat designs, PLUS learning letters, numbers, shapes and more. Create a picture on the fridge… put your name on the bedroom door! Or get creative with 3-D projects for school. 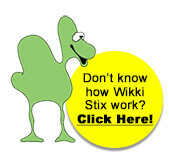 Wikki Stix are fun, simple and mistake-free. And, the perfect antidote to screens! 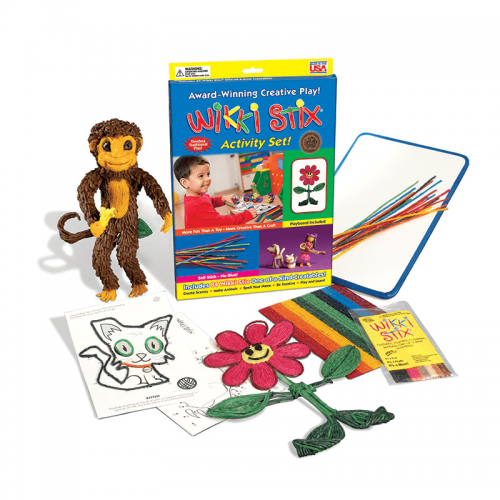 With Wikki Stix, kids are doing… not watching! 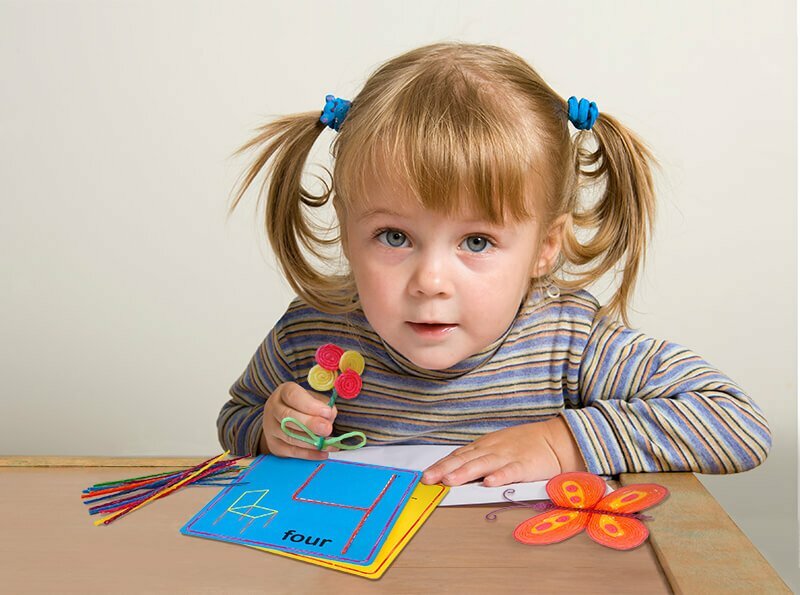 Wikki Stix do not break or tear apart, but cut easily with scissors. They do not contain latex, gluten, nor peanut or other nut oils or byproducts, which makes them an ideal creative activity toy for children with allergies. They’re also a fun and colorful fidget toy and easy to have on hand when needed. 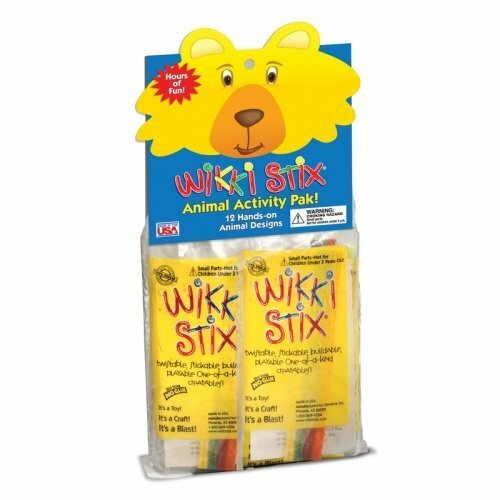 Wikki Stix conform to all US Consumer Safety Standards including ASTM D-4236, CA-Prop 65 and F-963, as well as the European Standard BS5665/EN71. They are perfect for quiet, independent play or interaction with others. They help enhance learning through hands-on kinesthetic involvement. They stimulate the imagination and creativity in everyone! Plus, they are endlessly reusable. And…there is no right or wrong way to play! 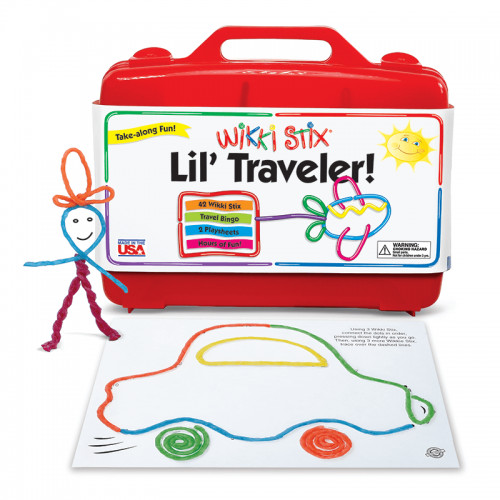 PLUS…Wikki Stix are proudly Made in the USA! 30% Off your entire order! Use Promo Code: CC2019 at checkout! Excludes sales items, and case paks of 500 or 1,000 units.